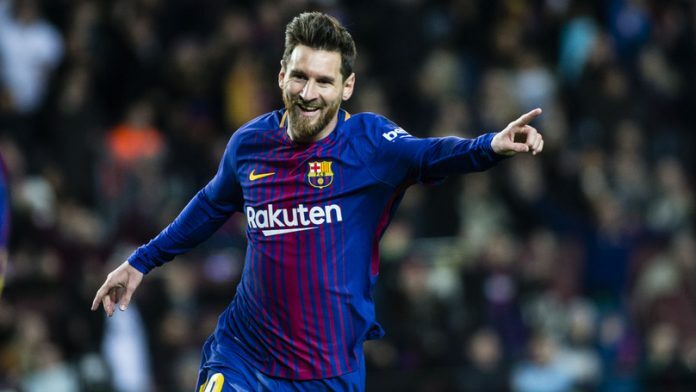 Lionel Messi and Sergio Busquets are both set to return for Barcelona in their Champions League quarter-final first leg against Roma at the Camp Nou on Wednesday. Messi sat out Argentina’s two friendlies over the international break with a hamstring problem and only came off the bench against Sevilla on Saturday when he scored an 89th-minute equaliser. However, he trained on Tuesday, along with Busquets, who has not played since fracturing his toe against Chelsea three weeks ago. Both have been included in Barca’s 18-man squad. “He’s better than the other day,” Barcelona coach Ernesto Valverde said about Messi’s fitness on Tuesday. Valverde was also asked about the future of defender Samuel Umtiti, whose contract talks with Barcelona are yet to reach a positive conclusion. Umtiti raised eyebrows last week by admitting to French broadcaster Canal+ that his relatively modest release clause of 60 million euros ($73.6 million) was attracting “interest” from other European clubs. “He’s very important for the team, on and off the pitch, but I think he’s happy to be with us too,” said Valverde. Barcelona are bidding to reach the last four of the Champions League for the first time in three years after falling at the quarter-final stage both in 2016 and 2017. They will be strong favourites, however, at the Camp Nou against Roma, who sit third in Serie A. Beaten European Cup finalists in 1984, they have never made it past the last eight in the Champions League era. “We know that we are facing maybe the strongest team in the world,” Roma coach Eusebio di Francesco said on Tuesday. Di Francesco would not give any indication on the fitness of Belgian midfielder Radja Nainggolan, who sustained a hamstring injury against Bologna on Saturday.